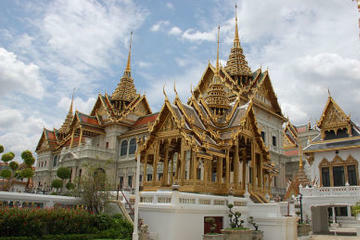 Bangkok: the exotic throbbing cultural capital of Thailand that never rests. And neither should you! 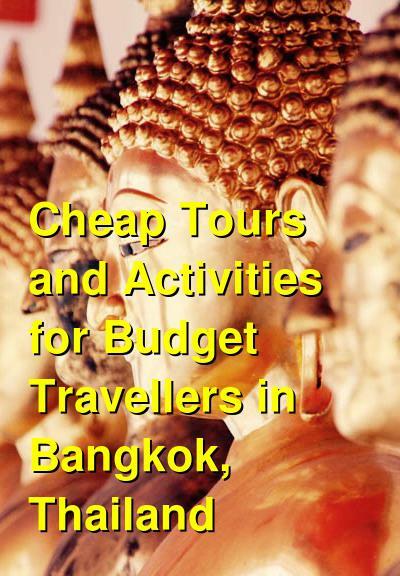 Bangkok has so much to offer from the diverse food and shopping to historical sites such as temples and monuments that you could spend a week here and only see a small fraction of the action. And the best part is that so many of the best things to see and do are cheap, or even free. Wandering through local markets on your way to a reclining Buddha is an added bonus as you take in the sights and smells of all of the food. Why not take a cooking class while you're at it? Or perhaps even a local food tour? Hopping on a bike or a tuk-tuk will let you venture even further afield into the city to see the various neighborhoods such as Chinatown or the central palace area. Don't forget your camera and your sense of adventure! 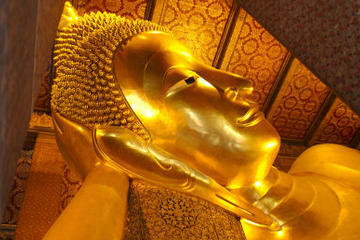 The large reclining Buddha in the temple complex known as Wat Pho is a sight to see. This massive statue of Buddha laying on its side with head perched in hand is not only spectacular, but also world famous. 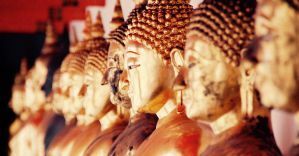 Bangkok itself is a hub of religious activity, so why not take advantage of the cultural offerings of the city by checking out not just this temple, but several others as well. After all, Bangkok has tens of thousands of Wats spread throughout the city, and each has its own atmosphere and personality. Personally, one of my favorite things to do in a foreign city, especially in Asia, is to visit the local markets. This is something that we in the western world simply don't really have at home. Imagine thousands of small stalls, all selling fresh local food, meat, produce, clothing, trinkets, tools, and more in a chaotic but friendly atmosphere. At some stalls the food is ready to eat, while sometimes it's exotic raw fish or fruit that you've never seen or tasted. A pile of fresh curry powder might sit next to another vendor selling hand-made shoes. 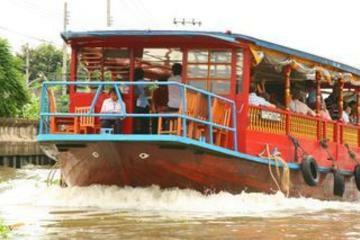 The sights and the smells will overwhelm you with a sense of local culture that you've never experienced before. When it's over, you'll want to go back! Take your camera, some small bills for snacks, and an open mind, and just wander! Water is life, and nowhere is this more evident than on the rivers and canals that slice through Bangkok, making it the "Venice of the East". The locals use the river for a source of food and transportation alike, and along the waterways you can see city-dwellers moving around on small and large boats, either commuting or fishing. 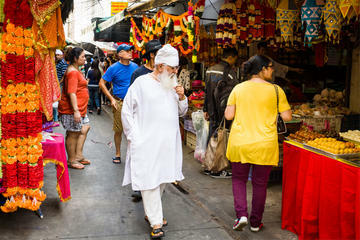 Along the shores you will see markets, temples, homes, and both traditional and modern architecture in this dynamic city. There's no doubt that Thai food has earned a global reputation as some of the tastiest in the world. Known for unique and fresh ingredients found in the Southeast Asian region, the culinary arts of Thailand are likely one of the top reasons you're visiting this country. 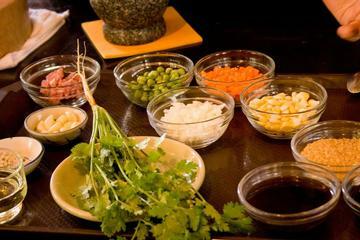 Whether it is a green or red curry or a noddle dish such as Pad Thai or Pad See Ew, or even a basic fried rice, many of the cooking schools in Bangkok can set you up for success even if you don't have any culinary experience. After all, if you're going to eat the food while visiting, why not know how it's made?